KY-97 Torian Creek Bridge Replacement - Bacon Farmer Workman Engineering & Testing Inc. 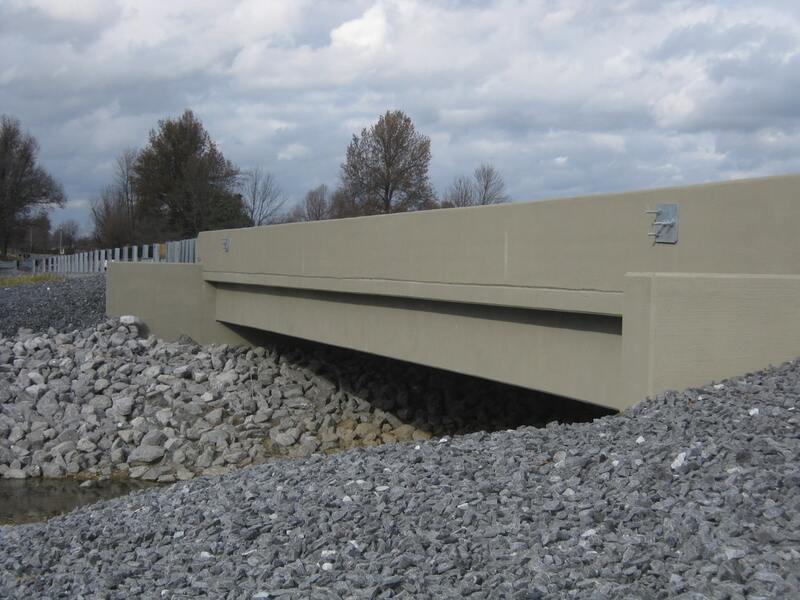 This project consisted of replacing a wet structure on a state highway. The structure to be replaced was a 2-span bridge with cast-in-place beams, concrete piers, and vertical abutments. A hydraulic analysis was performed to examine various bridge and span designs and to achieve the most efficient solution in this special flood hazard area. The proposed roadway profile was redesigned to provide a better vertical transition in the approach areas and to widen the existing lane widths from two 11 foot lanes with a 1 foot paved shoulder to two 12 foot lanes with 6 foot paved shoulders. 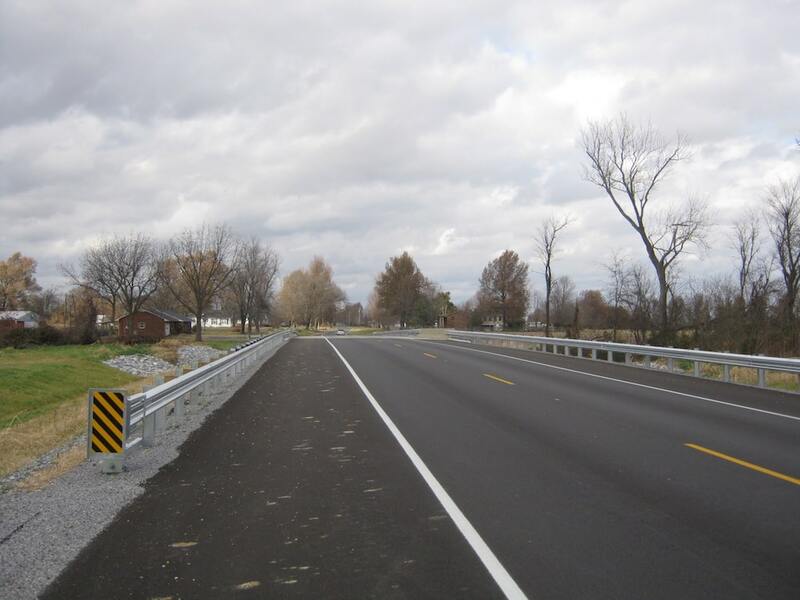 This project had an offsite detour utilizing local state highways to maintain traffic throughout the project and to limit time needed for construction.